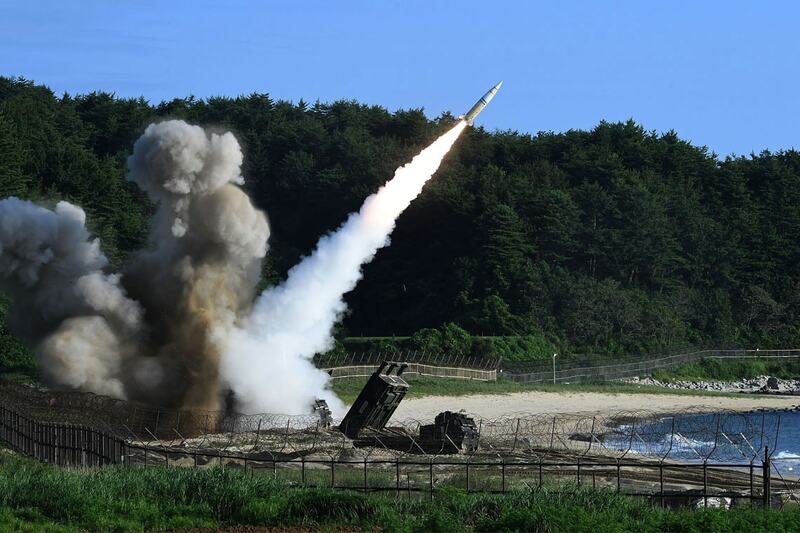 North Korea tested an intercontinental ballistic missile on Tuesday which experts say can strike as far as Alaska or even Hawaii, ratcheting up tensions in the region and beyond. Will the latest missile test mean rethinking how to deal with the North Korean threat? Tina Park, co-founder and executive director of the Canadian Centre for the Responsibility to Protect in U of T's Munk School of Global Affairs and a history PhD candidate who focuses on Korean-Canadian relations, addressed this with U of T News' Geoffrey Vendeville. What kind of message has the North sent with this latest missile test? The fact that it (the ICBM) can reach the United States now poses real challenges for engagement. What it really means in terms of North Korea's relationship with South Korea or even with the United States is that it shows there's no room for engagement policy or de-nuclearization, although South Korean President Moon Jae-in appears still committed to finding a peaceful solution. With the change in government in South Korea – because he was more left-leaning than his predecessors – it was expected that South Korea's policy on North Korea would also change a little bit. But in return for President Moon's offer for engagement and dialogue, North Korea actually went forward with the [intercontinental ballistic missile] ICBM. That's a violation of UN resolutions and a hiking of tensions in the Korean Peninsula. It's also a game-changer because now North Koreans could mount a nuclear weapon on an ICBM – if the test was in fact successful. We don't know for sure how successful its long-range technology is, especially its re-entry capabilities – what it allows an ICBM warhead to survive the intense heat and destruction of its outer shell as it plunges through the Earth's atmosphere. You're in Seoul now. What is the atmosphere there? North Korea’s ICBM testing is certainly making headlines here in Seoul. But it is important to note that there is a bit of difference in terms of how average Koreans are carrying on with their lives, and how the crisis is seen from outside. South Koreans are well aware that conventional weapons along the 38th parallel are sufficient to cause a lot of damage very quickly and are not easily stirred by provocations coming from the North. The main concern here at home is about the new Moon government’s domestic priorities, such as tackling unemployment among the youth and revitalizing South Korea’s economy. U.S. President Donald Trump has put a lot faith in working with China to impose economic sanctions on North Korea. What do you think of this strategy? The point about China is very important. North Korea's top trade partner is China – 90 per cent of its imports and exports go through China. If you look at the flow of money, China is the only country with any meaningful leverage on North Korea. That said, China has put business before politics. So far various efforts to impose economic sanctions on North Korea on behalf of the international community have largely failed because China continues to trade with North Korea. So is there any point continuing to try to persuade China to pressure North Korea? What we need is for China to actually use its leverage. It hasn't. China has the ability to restrain North Korea if it really wished to use its muscle. So far there is no clear incentive for China to do that. The West has to offer some kind of an attractive offer for China to do this beyond de-nuclearizing the Korean Peninsula. China certainly doesn't want an influx of refugees from North Korea after a regime collapse, and China doesn't want any greater American influence on the Korean Peninsula. There has been speculation in the media about the risks of a pre-emptive strike. Is military action a solution? It is true that the United States theoretically has the capacity to surgically take out the missiles and major artillery sites in the North, but it's very unlikely. Even though the United States has 28,500 troops stationed in South Korea... a pre-emptive military strike was always considered too risky. This has to do with the geo-strategic location of the Korean Peninsula. It's right in the centre of North East Asia with very powerful neighbours like China, Japan, Russia, Mongolia etc. Any military engagement with North Korea – however surgical – will have ramifications in the South. The U.S. can't afford that; South Korea doesn't want that. We also don't want a sudden regime collapse in the North because there's no clear blue print for how to deal with that. Where does Canada come in? We have to remember that Canada is a Pacific nation and Canada still enjoys a very positive reputation here in Korea because of the Korean War experience. Stability on the Korean Peninsula is definitely in Canadian interest, not just because of strategic and political reasons but also because of our growing commercial interests and people-to-people relationships. There are over 200,000 Koreans living in Canada today with over a million people travelling between the two countries every year. The Canada-Korea Free Trade Agreement is our first FTA in the Asia-Pacific region. There are prospects for closer cooperation between the two countries, ranging anywhere from maritime security to cyber security and joint training programs, as well as defence procurement, disaster relief and humanitarian engagements.